Viral hepatitis is one of the world’s greatest public health challenges. The World Health Organisation (WHO) estimates that 400 million people across the globe are infected with either viral hepatitis B (HBV) or C (HCV), and each year, viral hepatitis kills 1.4 million people – comparable to global mortality rates of HIV or tuberculosis. The viral hepatitis burden is strikingly pervasive in Asia, which is home to more than 75% of all individuals living with HBV and more than 60 percent of those infected with HCV. In the Asia Pacific region, deaths from viral hepatitis outnumber those of HIV, tuberculosis and malaria combined. Viral hepatitis takes a similarly heavy toll in countries throughout the Asian continent, with prevalence roughly equal in both the southeast and western Pacific regions, affecting men, women and children of all ages and backgrounds. To date, the global response to viral hepatitis has been inadequate relative to its substantial impact. This high level stakeholder meeting encouraged participants to identify specific actions needed to harness recent policy, research and scientific advances to reverse the viral hepatitis epidemic in the Asia-Pacific region. It explored strategies to make viral hepatitis diagnostics, vaccines and treatments more readily available across Asia. The meeting drew on our previous Asia-specific health symposium, held in Singapore in February 2015, and focused on HIV and viral hepatitis co-infection. There was general consensus at that meeting that further discussion and collaboration in the region was needed concerning HBV and HCV mono-infection. The meeting provided a platform for stakeholders from across Asia to collaborate, focusing on the urgent need to address viral hepatitis, and determining a concrete set of actions to move the issue forward. Identify effective strategies to overcome the barriers to implementing viral hepatitis programming, recognising the need for tailored national and local responses in specific high-burden countries. Focus attention of national governments on viral hepatitis, and seek support for financing the successful implementation of national action plans. Make the case for investments needed by international donors, especially to fund hepatitis programming in low-income Asian countries, which may include innovative financing mechanisms, such as social investment bonds and private loans. Determine how to better coordinate across sectors to improve surveillance systems throughout the continent. 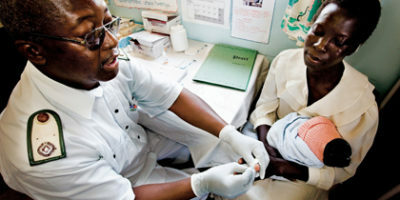 Look for synergies that can help expand delivery of hepatitis screening and care, such as linking hepatitis prevention and control programmes to broader public health efforts. Recognise countries that have successfully carried out effective hepatitis programmes which can provide examples to others. Explore options to strengthen viral hepatitis advocacy, which is less developed and funded compared to other pandemics such as HIV.